Considering surgery? Get Natural Looking Results with Dr Moradi! The era of making breasts larger without consideration for correct form and symmetry is fortunately behind us. 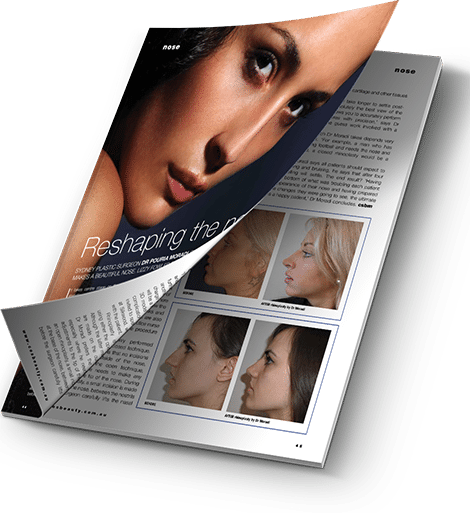 With form-stable cohesive gel implants being the norm rather than the exception in Australia, choosing an implant becomes key in planning for the perfect augmentation. During the consultation, we will go through your 3D image, and you will wear external sizers. Using my simulation software, we will then carefully plan your operation and render a likely post-operative result based on implant size, shape and position. If you would like to know more about how Dr Moradi can help you, or to request a consultation, please contact us today.